The inauguration of Latin experience begins with a conversation with a friend who’ve I known for a couple of years. Hey, what are you doing next month? The reply is, why do you ask? 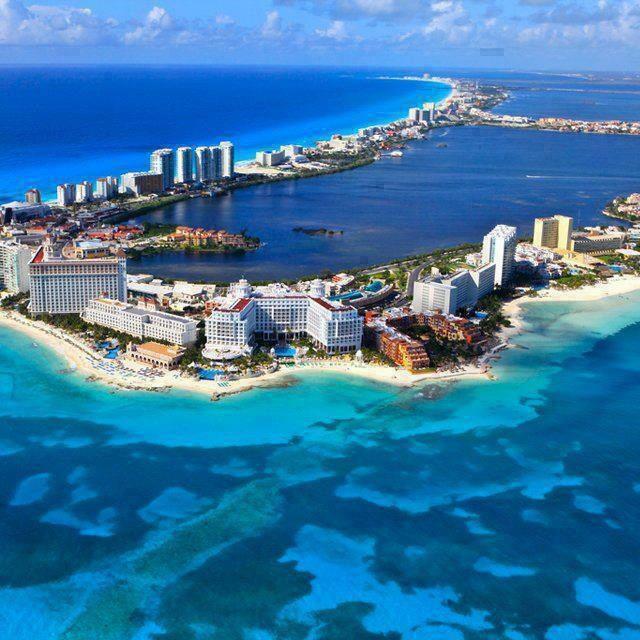 I am thinking of getting out-of-town for a few days and was thinking about Cancun. There’s a pregnant pause…”huh?” Get out of town for a few days to Mexico”, was the response. Yes I replied, are you game? Can you get a way? After I explained a passport wasn’t needed, off we went just a few weeks later. I booked it through Apple Vacations, a travel agency that is notorious for cheap packages to Mexico. It was a quick 4 day trip, so what the heck, right?! Typical flight and airport transport pick-up experience, no problem. We get to the hotel and set our bags down, so we can get our vacation started with an authentic Mexican dinner. We have a good time out and arrive back to the room. As I began to unpack, I noticed my travel credentials are missing, WTH???! I purposely didn’t bring them with me, because I didn’t want to lose anything while out at dinner. We were walking and I wasn’t sure of the conditions of purse snatching, etc. I was being over cautious as it was my first time here; and with the stories I read and heard… let’s just say I didn’t want to take any chances. Stereotypes are not the best source of identifying a culture and people; however sometimes that’s all you have to go on when you’re a novice. As I continue to frantically look for my documents, I conferred with myself, maybe I am too hyper and should wait until the morning to look for them again. I sleep with angst looming in my subconscious, but some rest nevertheless. I wake up and begin the search again, I am unsuccessful – darn it! Those weren’t the exact words I used by the way, but this is a family show, so emotions are censored for the kiddies and innocent at heart. I proceed to the front desk to inform them there has been a crime committed. What do I get, blank stares and expressions as if I have three heads. I know you speak English, excuse me we met last night! Okay, you don’t understand, well go get someone who does. As I explained to management the situation they offered no real solution other than filing a police report. I called Apple Vacations to get some advice and assistance on my departure of the country, as well as my entrance into the US. They recommend the same thing, file a police report, yeah that’s fine, but how the heck do I get out of this God forsaken country and get back home without any identification people? My inner lion comes out and I demand answers. The best I got was, get a duplicate copy of my birth certificate. Well, an adult on her own has to call mommy to the rescue. I wasn’t too thrilled about that, but this was my only hope. I manage to get an express mail copy just in time for us to leave – complete disaster adverted! The moral of the story is, keep your ID on your person at all times. Just make sure you have a wallet, purse, bag or whatever on you, so you can conveniently secure items while you have fun. Also, have a good grasp of the language, so they can’t talk about you in front of your face. And finally, do background checking on your hotel and booking agent’s ability and willingness to helping out its customers. Now, this was 10 years ago, however there are still some low-rate, budget agencies and hotels that just want your money, and can care less about your troubles. If the deal is too good to be true, it usually is…a cliché but accurate. There are also new travel insurance policies that cover incidents like this, they’re usually attached to the airlines, credit cards, etc. Oh yeah I almost forgot to mention, don’t stay at Camino Real Cancun! They seem to still be in business…hopefully improved, but I don’t think that was the first time they treated a foreigner like crap. If I may, I would like to draw a silver lining on this tragic story. Aside from this ridiculous set of dramatic events, I had a pretty good time. Perhaps it had something to do with my friend making sure I didn’t stress too much, and enjoy my time there. I learned that no matter what challenges you encounter, life is never too grim where you can’t appreciate the simplest and purest things, like a good friend to soothe your thoughts or the blue sky. As for the destination, the beaches were beautiful, the main strip was filled with plenty of merchants who welcome you to browse their shops and have a nice chat (went during low season – October). I do caution your adventure to taking the public bus, as the driving there is absolutely nuts! The bus driver didn’t come to a complete stop to let people off, so wear comfortable shoes and brace yourself. Perhaps things have changed a bit (I doubt it), but careful and intelligent behavior regardless if things may or may not have improved is advised. I personally have no desire to go back no matter how blue the water and pristine the beach may be. That experience of Mexico was enough to last me for a lifetime. I learned my lesson of humility and now I move on. However, if you fancy exploring on your own, below are some places I’ve learned are worth checking out. My recommendations: Do only luxury Mexico destinations and try booking directly, you usually get a better room, experience and sometimes even a better deal. They provide great incentives to get travelers to book directly or through a partnering airline. Here are a few reputable resorts – SAFE TRAVELS!